My father's cataract operation is due on this Sunday. In the event of his sugar again on the increase, the general physician has recommended him to postpone the operation, but the ophthalmologist has given him a green signal and so my father has decided to go on with the cataract removal. The only consolation amidst the tension and anxiety I have been feeling, sitting some thousand miles away from my home, over my father's deteriorating health is that both my brother and sister will be there beside him at the time of the operation. My didi and dada have always been the saviours for me. When I was a child, I often used to rue over the fact of didi and dada getting more importance than me at our home for their status of older siblings whereas me being the youngest was always treated like a child even when I grew up. None of my views held any importance to anyone as did of my brother and sister. While the downside of being the youngest in the family is that you are always made to feel like a child even after you grow up into an adult, the upside is no problem in the family passes through you. Before even the problems begin to affect you, they are well taken care of by the elders. 1) Blanch the cauliflower in hot water for 5 minutes. Drain and set aside. 2) Heat oil in a wok. When oil becomes piping hot, add the ingredients for sauté and allow them to sizzle. 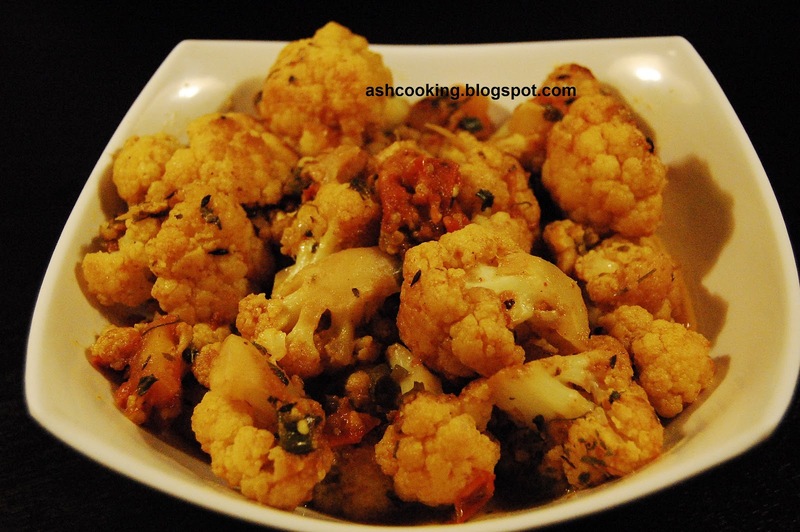 3) Add cauliflower florets and shallow fry till they turn golden brown in color. Add tomatoes, cumin powder, coriander powder, green chillies, dry red chilli powder and turmeric powder. 4) Add ginger and a splash of water to keep the moist in. 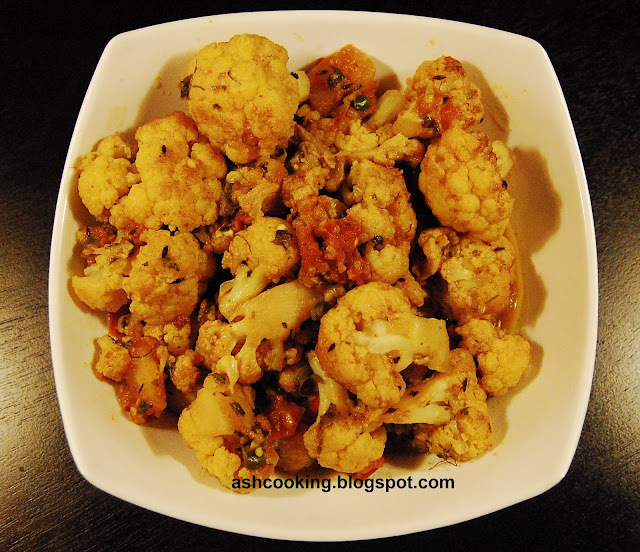 Cook covered on medium heat till cauliflower softens. 5) Add salt, sugar and kasuri methi. Cook covered for 1 minute till the ingredients assimilate with a nice aroma spreading through the air. 6) Serve hot with roti, chapati or paratha.